Liina is Lead Practice Nurse and joined the team in July 2016. 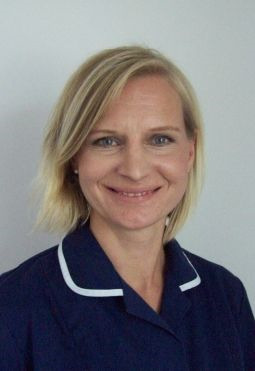 Liina previously worked in a practice in Bath and is a very experienced Practice Nurse. She is particularly interested in diabetes and asthma. 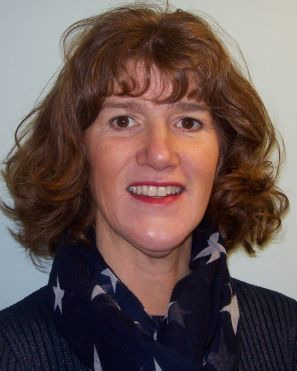 Fiona has been with the Practice since 2011 and has worked as a Practice Nurse since 2005. Prior to this she worked in a Hospital environment including Cardiac Intensive Care. Fiona has a special interest in diabetes and heart disease. Ann joined the Practice in December 2013. 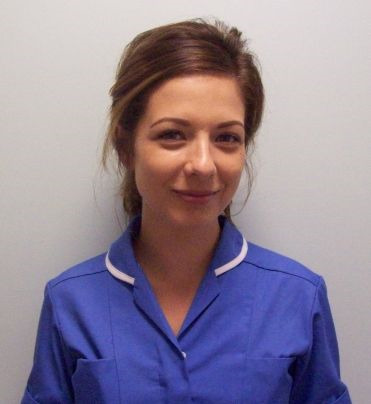 She came to us from the Sirona Stop Smoking Service, and before that she worked as a practice nurse in Radstock. Ann is experienced in chronic disease management and brings a wide range of nursing skills to the team. Having completed her training here, Gabby joined the Practice in 2016 as a Practice Nurse. She has a particular interest in wound care. All of our Practice nurses are qualified and experienced in administering Immunisations and Vaccinations and a range of other services to support your health and wellbeing. Anne can take blood tests, ECGs, and new patient checks. In addition our HCAs are trained Support to Stop Smoking Advisors and will be pleased to help those who wish to give up smoking. Lorraine can take blood tests and ECGs . Our phlebotomists take the majority of blood samples. If your doctor has requested a fasting blood test then please refrain from eating anything from 22:00 before the test. You are allowed to drink water only but nothing else during this time. Helen joined as Practice Business Manager in January 2017, and has overall responsibility for all aspects of administration and business management. She leads on patient participation, community relations and patient complaints, and is always interested to hear from users of the surgery. She also plays an active part for the practice in the changes to the NHS, managing the finances and ensuring that new procedures are introduced. 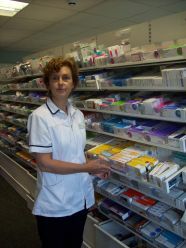 Sally joined the practice in October 1995 starting work in the dispensary and reception. She is now the dispensary manager and is responsible for all the IT systems at the surgery with the assistance of Shaun Vallender. Tonia joined the Practice in August 1997 as a receptionist, and was also appointed Reception Manager in 2010. She is supported in this role by Maggs Lodge, our full-time reception supervisor. Tonia has a background in banking and took over the administration of the Practice finances in 2001. Maggs joined the Practice in 2013. She is an experienced administrator and always happy to help with patient needs. The Practice has a team of part time receptionists who will be pleased to assist you between the hours of 08:00 and 18:00. The telephone lines are operated between 08.00 and 18.00. After this time you should ring 111 to access the Out of Hours service. Helen joined the Practice in March 2004 and supports the Practice from a secretarial perspective, including referrals, also assisting patients who are eligible and in need of transportation to and from hospital. Melody Allsop is the named midwife for the practice. She is based at Keynsham Clinic, Park Road in Keynsham Bristol, 0117 946 1000. Sue runs an Antenatal clinic every Tuesday pm at the surgery, and any other time she can be contacted via Keynsham Clinic. As a team they cover all the Chew Valley, Keynsham and Saltford. They provide antenatal (during pregnancy) and postnatal (after delivery) care in the surgery, Keynsham Clinic and at home. If delivering in hospital (St. Michaels/Southmead in Bristol, Royal United Hospital Bath, Ashcombe Unit Weston General or Paulton Birthing Unit) you will be cared for in labour by the midwives there. As Community midwives they provide a homebirth service, with a 24 hour on-call rota, with colleagues from UHB Trust. They run, with the support of an obstetric Physiotherapist, Antenatal/Parentcraft courses. They work very closely with your GPs, Health Visitor and all the hospitals. They are happy to give pre-conceptual advice. When first pregnant, please collect a Booking pack from the receptionists. The district nurses visit housebound patients to provide a wide range of nursing support. Some of the services they provide are Palliative and terminal care, wound care, Health education and promotion, support for patients and their family carers. They can be contacted by ringing Chew Medical Practice on 01275 332420. The Health Visiting team for the Chew Valley is based at Chew Valley Children’s Centre and can be contacted on 01225 395458. They make contact with all new mums or with families who move to the area, and in particular they offer support to families of children with extra needs. They run outreach sessions in local villages – call them for more information. Viv Hollis and Kate Sharp are Health Visitors and Lisa Pearce is a Health Support Worker within this team. The team supports older adults in the community who are well, with the aim of supporting them to stay well and independent. Clients report that it has been really helpful being able to speak to the team about their health and well-being, covering areas like bereavement, social isolation, nutrition in older life, memory worries, caring for loved ones, finances, home improvements, transport and living with a chronic health issue. They offer an annual home visit for anyone aged 80 and 84. Psychological (talking) therapies are provided at the surgery by LIFT Psychology. Patients may refer themselves, or a GP may suggest a referral. If you are stressed, anxious, depressed or unable to cope, you can get help through one to one sessions, computer-based activities, or group courses. You will meet with a practitioner at the surgery who will discuss different options and help you to choose the best approach. The LIFT approach is described in more detail atwww.lift.awp.nhs.uk/banes. Simple physiotherapy is provided at the surgery. More complex cases are seen at either Keynsham Health Centre or Paulton Hospital. Patients may be referred by a doctor or nurse, or may self-refer using a form available from the surgery reception. This is a national screening programme for patients aged 11 and over who have diabetes. The Retinal Screening Unit attend the surgery once a month. Patients are invited by letter to attend once a year, unless they need to be referred to an eye clinic.